It was an exciting February at our Riverland community in the charming Township of Woolwich. Empire’s partners Daniel Guizzetti, Andrew Guizzetti and Paul Golini Jr. helped launched the official opening of the Breslau Community Centre in Woolwich with Mayor Sandy Shantz and the members of the Riverland community. With an increased demand for high quality community and sports facilities in new home communities, the Breslau Community Centre serves as a shining example of community collaboration; one that Empire is very proud to have been a part of. “Community Partnerships enable us to provide the extra amenities ‎that bring communities together. 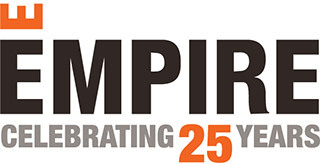 Our thanks to Empire for providing Breslau with a first class Community Centre.” Says Mayor Shandy Shantz. Through the support of the Township of Woolwich, it was agreed from the beginning that our Riverland Presentation Centre would be different. It was designed and built in such a manner to be donated to the township as a future Community Centre. It was because of this partnership that the building was constructed with features not common in most Empire Presentation Centre’s, such as a finished basement. It was thought by the Township that the community groups in Breslau could use the basement offices and rooms while Empire was selling homes in the community. Because of vision the Township of Woolwich, in addition to the hard work of the Empire Communities’ team, this weekend, had the pleasure of attending the official opening of the new Community Centre. “This project is a brilliant example of business working together with the local government to serve the community. What would have otherwise been reduced to construction debris is now a vibrant Community Centre. We are confident of the impact this facility will have in severing not only the existing residents of the Riverland community, but also the existing residents of Breslau and future residents to come.” Daniel Guizzetti, President & CEO, Empire. Empire is so proud that we were able to be a part of this amazing addition to the community and we look forward to continue to contribute as we work toward the commencement of the next phase of Riverland, coming this Spring 2018. Register Now for more information. A huge thank you to everyone who contributed to making this amazing project possible!